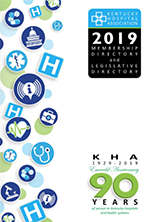 The Kentucky Hospital Association lends support to 22 allied societies. Professional membership in these groups provides essential networking and educational development in the areas of each discipline. We encourage hospital staff and related health organizations to become a member and get involved in their respective allied society.